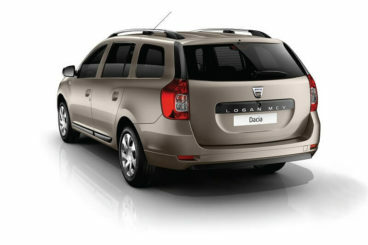 The Dacia Logan follows the brands ethos; sell simple cars at value prices. The cars might be simple, but they’re effective, and with a starting price of just £7,000, there is no more affordable estate car than the Dacia Logan. 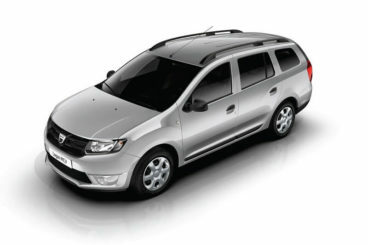 Let’s take a closer look at what the Dacia Logan offers with our Dacia Logan review. Dacia is well known for being a Romanian budget brand that is owned by French Manufacturers Renault, and therefore prices for one of their cars are generally very low. But because the Dacia Logan is so incredibly cheap, it’s worth finding out what other reasons there are for investing in one of these simple but effective vehicles. Well, let’s focus for a moment on that eye-catching price and what it essentially means. It means that basic features we have come to expect from modern cars are missing from entry-level models, such as electric windows, rear headrests, and even a radio. Cough up an extra £1,000 and you’ll be treated to a more expansive kit, whilst £9,000 will get you a Dacia Logan that feels more like a good small estate car should you need one. It feels pretty much mainstream, indeed. But okay, £7,000 gets you a very basic kit. On the other hand, drivability is actually pretty good. Boosted by a consummate three-cylinder engine, it drives comfortably, whilst steering and controls are well defined and consistent in their delivery. Which is the least you can expect. Moreover, when we talk of it being effective, we refer to its practicality. 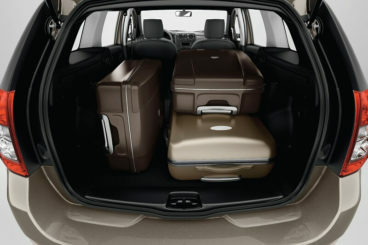 With a boot space of 573-litres, the new Dacia Logan really has something to boast about. That puts it on a par with the Ford Focus Estate – which would cost you a heck of a lot more money. The gearbox is somewhat antiquated, though, and will probably get a few thumbs down from people used to driving modern cars. The Dacia Logan certainly does cut a somewhat humble figure on your driveway, but this is by no means a bad thing. After all, humble is something of a virtue that often worthy, practical people possess. The 2015 Dacia Logan is certainly useful and if it looks humble, well that just means it’s ready to do its job quietly and efficiently with no questions asked. Which is pretty much what you buy one of these for. The base-level Dacia Logan is no doubt pretty basic, with steel wheels and black door mirrors, but if you opt for a better trim, you’ll be spoiled with satin roof bars and colour-coded door handles, mirrors and bumpers. 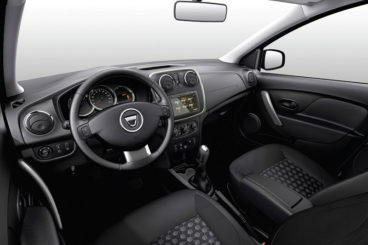 Inside, the Dacia Logan ambience is probably as plain as you thought it would be. Again, it’s humble, stripped back and does all that it needs to do. It’s simple, everything is easy to find, and build quality is impressive. Stripped right down to the bone, basic Dacia Logan deals start at just £6,995. What you see is pretty much what you get, but this is offset by a car that drives well. If you do want to treat yourself to a few extra options, and a decent engine, the Dacia Logan price tag rises to about £10,775 – which is still pretty awesome. But because you can get a Dacia Logan for just £6,995, you might be tempted to wonder if you really need those extra options and a ‘decent’ engine. At its most basic, the new Dacia Logan can reach 62mph from rest in 11.1 seconds. If you get behind the wheel of a Dacia Logan, you might easily be put off by how impersonal it is. Impersonal because it’s basic. We too easily associate warmness with quality, but there’s no reason why you can’t make the Dacia Logan a homely creature. Just think about the price and all of a sudden the cabin will feel warm and personal, the engine will feel powerful, and the gearbox will feel modern. Don’t expect too much, and the Dacia Logan could be your dream budget car. If you want to get hold of a new Dacia Logan, don’t hesitate to leave us a message on our contact page, or give us a call on 01903 538835 to find out more about our Dacia lease deals.